Ménéac Village has a population of circa 2,000 inhabitants. This has the advantage of NOT turning into a “Tourist Ghost Town” out of season, making a great location all year round. La Maison Manoir is located opposite the village school and street also boasts; the Mayors Office, Library, Pharmacy, Pizza-Bar (with Pool Table) and General Store. At the top of the street is the Church, Newsagents, Post Office, Credit Agricole Cash-Point Machine, Boulangerie / Patisserie and Restaurant. Village location in the heart of magical rural Brittany with it’s eye-catching views and Celtic allure. La Maison Manoir is well situated to discover popular tourist sites this fascinating, historic region has to offer. The village of Ménéac is a small french village located north west of France. The town of Ménéac is located in the department of Morbihan of the french region Bretagne. The town of Ménéac is located in the township of La Trinité-Porhoët part of the district of Vannes. The area code for Ménéac is 56129 (also known as code INSEE), and the Ménéac zip code is 56490. The altitude of the city hall of Ménéac is approximately 160 meters. The Ménéac surface is 68.22 km ². The latitude and longitude of Ménéac are 48.139 degrees North and 2.459 degrees West. Nearby cities and towns of Ménéac are : Gomené (22230) at 4.28 km, Brignac (56430) at 5.88 km, Coëtlogon (22210) at 6.12 km, Merdrignac (22230) at 6.90 km, Évriguet (56490) at 7.62 km, La Trinité-Porhoët (56710) at 7.66 km, Illifaut (22230) at 8.42 km, Laurenan (22230) at 8.53 km. 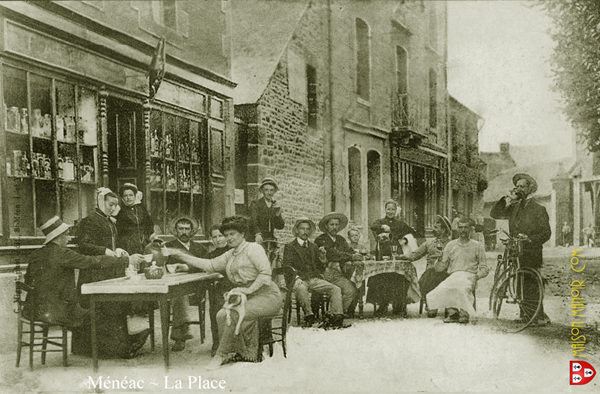 The population of Ménéac was 1 688 in 1999, 1 712 in 2006 and 1 706 in 2007. The population density of Ménéac is 25.01 inhabitants per km². The number of housing of Ménéac was 1 032 in 2007. 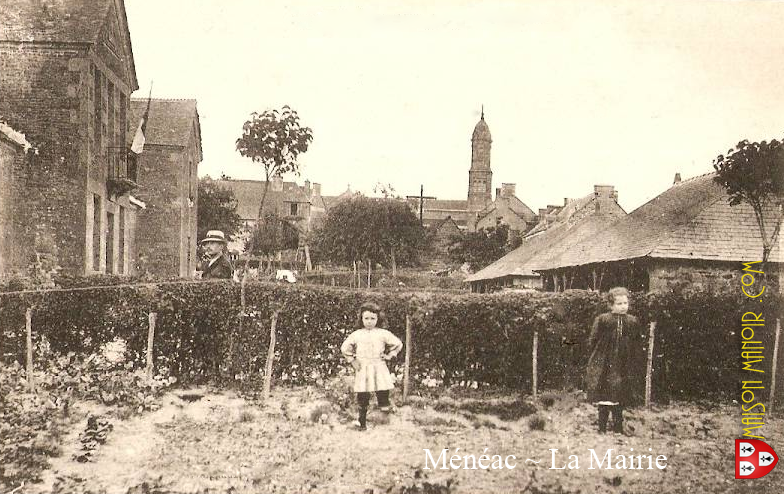 These homes of Ménéac consist of 734 main residences, 155 second or occasional homes and 143 vacant homes. Meneac is found in Morbihan in the Brittany region of France. The closest airport to Ménéac is St. Brieuc Airport (51 km) slightly further afield are Rennes Airport (55 km), Dinard Airport (56 km), or Nantes Airport (128 km). Within easy reach of Ménéac things to do such as as Lac au Duc, near Ploermel, Morbihan (21 km), Château de Josselin (22 km), Château de Kerguéhennec (35 km), or Lac de Guerlédan – Cotes-d’Armor (40 km) will keep you occupied. Formerly “La Mairie” Ménéac’s Mayors Offices. Today; the School immediately opposite La Maison Manoir.